Due to the huge proliferation of wireless products, the use of RF system and sub-system elements is increasing. However, market demands in many business sectors are forcing dramatic cuts in the product-to-market schedule and on unit costs. One of the major causes for RF projects running over budget or timescale projections is due to the prototype re-work phase, which arises from the complex nature of RF design. This course can be taken as a stand-alone course or in conjunction with the Successful RF PCB Design course. A discount package is available when registering for the two courses together, and a reduced fee is available if you have already attended Successful RF PCB Design. This intensive, five-day practical course provides acceleration through the RF design learning curve by presenting a comprehensive introduction to RF and microwave design theory, techniques and measurements. It gives an overview of the fundamental concepts involved with RF/Microwave design and presents design methodologies for both passive and active RF and microwave circuits and antenna design. Common RF/Microwave measurements are detailed and demonstrated. Many of the lectures rely on the use of live demonstrations involving test equipment and computer-based simulation tools to illustrate concepts. In addition, the delegates will have several opportunities to use the AWR Microwave Office design suite during the "hands-on" sessions of this course. The course will also demonstrate the use of state-of-the-art measurement instruments on day 4 (Thursday). The presenters on the course are specialists drawn from both academia and industry, with a combined design experience of over fifty man-years. Download a trial version of the CAD software provided by AWR Corporation. Microwave Overview - Peter Gardner. Transmission lines - Peter Gardner. The Smith Chart, matching impedance - Peter Gardner. Scattering Parameters - Peter Gardner. Introduction to RF/Microwave CAD Design - Peter Gardner. This 3-hour session reinforces the concepts presented in the morning sessions by giving you access to the AWR Microwave Office Design Suite. A structured set of exercises, will be used in these practical sessions and include the following CAD design exercises: transmission line analysis and synthesis, lumped component performance at RF due to parasitics, quarter wave transformers, attenuator design, design of one port matching networks. You can then explore the various aspects of the design exercises at your own pace, during the three hour session. Passive Devices - Peter Gardner. RF/Microwave Filter Design - Peter Gardner. RF/Microwave CAD Design - Peter Gardner. A continuation of the CAD sessions from Day One. Additional CAD design exercises include: lumped and lumped-distributed branchline and rat race coupler designs, lumped element filter design (low pass, bandpass), distributed element filter design (low pass, bandpass) to complement the morning sessions. RF Amplifier Design - Peter Gardner. Designing with PIN Diodes - Peter Gardner. The final CAD session in which you will have the opportunity to complete the outstanding exercises and also design a low noise, small signal amplifier. Oscillator Design - Andy Dearn. General Theory of RF/Microwave Oscillators; Introduction to Negative Resistance Oscillators; Small Signal (Linear) Design Techniques; Large Signal (Non-linear) Design Techniques; Practical Examples. Unexpected Problems at High Frequencies - Yi Huang. Radio Wave Propagation Fundamentals - Yi Huang. RF/Microwave Antennas Analysis, Design and Measurements - Yi Huang. 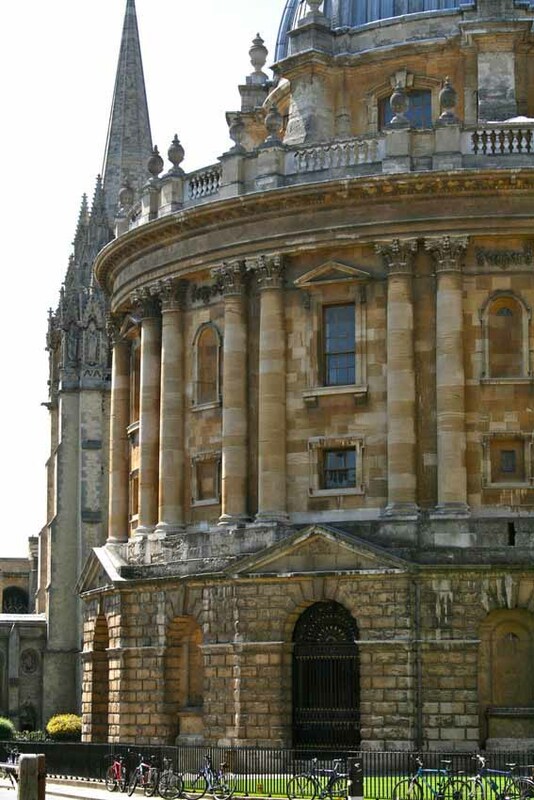 Participants who attend the full course will receive a University of Oxford Certificate of Attendance. The sample shown is an illustration only and the wording will reflect the course and dates attended. A reduced course fee is available to those who have previously attended the Successful RF PCB Design course. Andy Dearn has been employed by Plextek RFI Ltd since 1997 and is currently a Principal Consultant Engineer. Plextek RFI provides an Electronics Design and Consultancy service and has extensive experience in RFIC/MMIC and discrete Microwave/mm-wave design for commercial applications. Andy's work involves the design and development of RF and Microwave ICs and components, primarily GaAs and GaN MMICs. Design frequencies cover VHF to mm-wave. For the Previous six years he was responsible for Multi-function GaAs MMIC design at GEC-Marconi Materials Technology Ltd., based in Caswell. Circuits designed included Oscillators, Mixers and complete Transceiver circuits, utilising MESFET, pHEMT and Bipolar technologies. Prior to this he spent five years at Ferranti International Microwave Division (Poynton) where he was responsible for the design of miniature Voltage Controlled Oscillator products. He graduated from Loughborough University of Technology in 1985 with a BSc in Engineering Physics. Professor Peter Gardner joined the School of Electronic and Electrical Engineering at Birmingham University in 1994. His current research interests are in active and passive microwave and mm-wave component development, including active antennas, mm-wave antennas, wireless transceivers, low noise amplifiers and linearisation of microwave transmitters. He is a Senior Lecturer in the Department of Electronic, Electrical and Computer Engineering at Birmingham, and teaches undergraduate modules in IT and Communication Skills, Communications Systems, Algorithms and Data Structures, and postgraduate modules on RF and Microwave Circuit Design. After graduating in Physics with first class honours from the University of Oxford in 1980, he gained eight years of industrial experience in research and development of active microwave components for Ferranti International, Poynton, Cheshire. He then returned to academic research, joining the Dept. of Electrical Engineering and Electronics at UMIST as a Research Associate, in the course of which he obtained an M.Sc in 1990 and PhD in 1992. 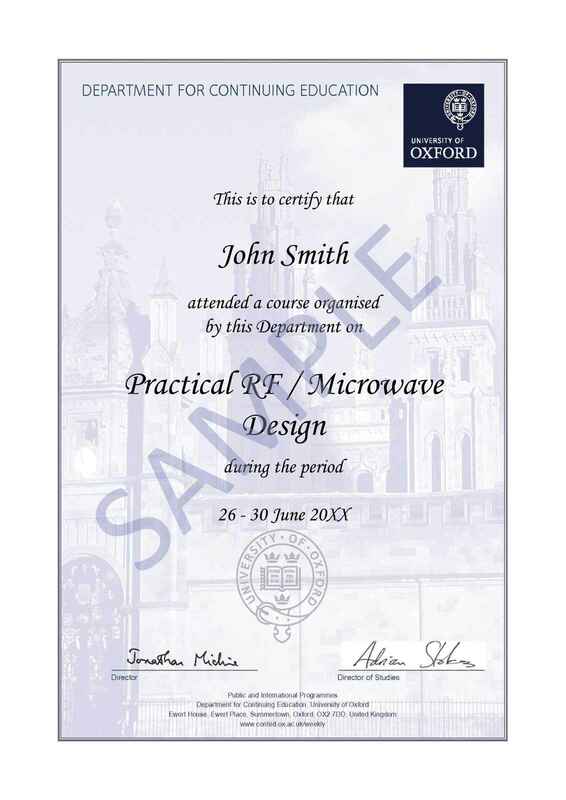 He has over 50 publications on various aspects of microwave component design. He has carried out consultancy work for a number of radar and communications companies. Yi received BSc in Physics (Wuhan, China), MSc (Eng) in Microwave Engineering (Nanjing, China), and DPhil in Communications and Electromagnetics from the University of Oxford, UK in 1994. His research interest has been in the areas of radio communications, applied electromagnetics, radar, antennas and radio propagation. His experience includes 3 years spent with NRIET (Nanjing, China) as a Radar Engineer and various periods with the Universities of Birmingham, Oxford, and Essex at the UK as a member of research staff. He worked as a Research Fellow at British Telecom Labs in 1994, and then joined the Department of Electrical Engineering & Electronics, the University of Liverpool, UK as a Faculty in 1995, where he is now the Head of High Frequency Engineering Research Group and MSc Programme Director. Prof Huang has published over 300 refereed papers in leading international journals and conference proceedings, and is the principal author of the popular book Antennas: from Theory to Practice (John Wiley, 2008). He has received many research grants from research councils, government agencies, charity, EU and industry, acted as a consultant to various companies, and served on a number of national and international technical committees (e.g. EPSRC) and been an Editor-in-Chief, Associate Editor or Guest Editor of four of international journals. He has been a keynote/invited speaker and organiser of many conferences and workshops (e.g. IEEE iWAT 2010, WiCom 2010, LAPC 2012 and EuCAP2018). He was the Leader of Focus Area D of European COST-IC0603 (Antennas and Sensors) and is the UK and Ireland delegate to EurAAP (2016-2020), a Senior Member of IEEE, and a Fellow of IET. Marty is currently working as an Applications Engineer with Keysight Technologies and he has been with HP, Agilent and now Keysight for 34 years. In that time he’s worked in the calibration facility, specialising in RF Power measurements, before becoming an Applications Engineer working on bespoke test systems using Spectrum Analysers and Vector Network Analysers. After working as a Project Manager, delivering custom switch matrices, he is now supporting custom measurement solutions and delivering RF & Microwave training classes. Acceleration through the RF/MW learning curve. RF theory supported by numerous demonstrations, case studies and examples. Group size normally limited to 18 delegates to maintain an effective delegate to course tutor ratio. Opportunity to discuss specific engineering applications with the course tutors. Use of industry standard RF test equipment. Hands-on use of AWR Microwave Office RF CAD Tool. Design engineers and technical managers wanting to gain an overview of RF/microwave engineering principles. Designers and those with some RF experience but little formal training who wish to broaden their design skill base. Baseband and signal processing designers who need to be aware of RF issues.